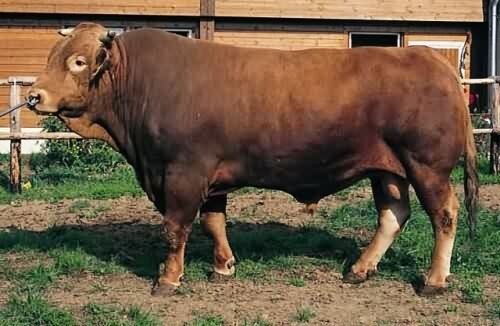 The Braunvieh (pronounced as 'Brown-fee', German word which means 'Brown Cattle'), is a solid colored breed.with various shades of brown with lighter points. The border of the muzzle and the poll is lighter, and often there is also a lighter colored dorsal stripe. The skin is pigmented, the muzzle is black, and the hooves are dark and very hard. It is naturally horned. 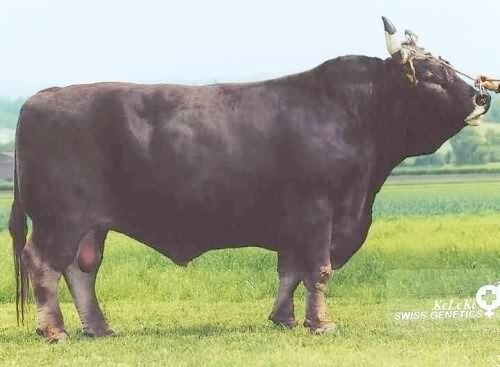 The Braunvieh is a very docile, long-bodied, well-muscled animal with correct feet and legs, due to generations of natural selection in the Swiss Alps. The weight of bulls range from 1000 to 1100 kgs. with height of 140 to 160 cm. The cows weight range from 550 to 800 kg with heights from 135 to 145 cm. The Braunvieh is originally from Switzerland and has expanded to Germany, Austria, France, Italy, Spain and other European countries. It has also been exported to Canada and the U.S., where the derivative is called Brown Swiss. Tropical areas where the Braunvieh is used, mostly as a crossing breed, includes all the Latin American countries, India and some countries in Africa. Based on the data of the Schweizer Braunviehzuchtverband or the Swiss Brown Cattle Breeders' Federation, in Switzerland the Milk Production of 4,643 milk-recorded Cows in the Year 2006-2007 was 6016 kgs. in 300 Days containing 3.87% Fat and 3.32% Protein. 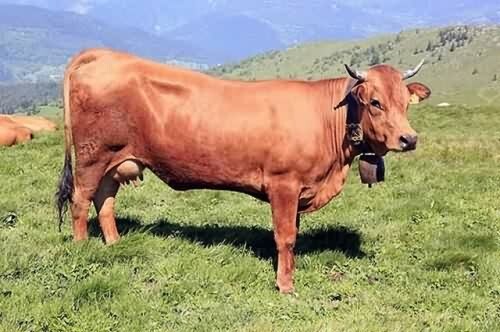 The Gelbvieh (pronounced as 'Gelp-fee', German word which means 'Yellow Cattle'), is a solid colored breed.with various shades of golden brown, fawn, reddish, tawny red, reddish-gold, russet, golden honey color with strong skin pigmentation. The border of the muzzle and the poll is lighter and it is naturally horned. The Gelbvieh is a docile, long-bodied and well-muscled animal, the result of selection for draught in the past. 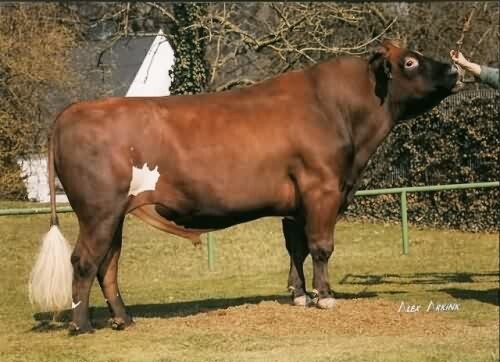 It is known as one of the highest weight gaining cattle breed in the world reaching more than 1.3 kgs. average. The weight of bulls range from 1100 to 1300 kgs. with height of 150 to 160 cm. The cows weight range from 700 to 850 kg with heights from 140 to 150 cm. The Gelbvieh is originally from the Franconia region of Bavaria in Germany and has expanded to Austria, Denmark, Spain and other European countries. It has also been exported to Canada and the U.S., where it is mostly used as a beef breed. 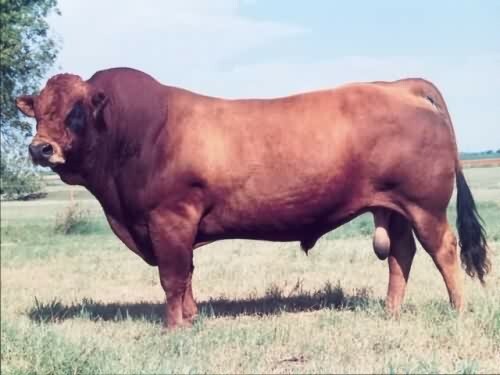 Tropical areas where the Gelbvieh is used, mostly as a beef breed, includes South Africa and the southern United States. Based on the data of the International Committee for Animal Recording (ICAR), in Germany the Milk Production of 4,241 milk-recorded Cows in the Year 2007 was 5656 kgs. in 315 Days containing 4.20% Fat and 3.53% Protein. The Tarentaise (pronounced TAIR-en-taze) is a solid colored fawn to reddish brown breed. It has black hooves, mucous membranes and extremities with darkening around the eyes and sometimes on the neck of the bulls. It is naturally horned with black-tipped lyre shape horns. The Tarentaise is a hardy mountain breed with sound sturdy legs and has always been used in mountain farms. It is also resistant to parasite diseases like piroplasmosis and heartwater. The weight of bulls averages 800 kgs. with height of 140 to 145 cm. The cows weight range from 550 to 600 kg with heights from 130 to 135 cm. The Tarentaise is originally from the Tarentaise valley in the Savoy region of France and has expanded to Albania and other European countries. It has also been exported to Canada and the U.S., where it is mostly used as a beef breed. Tropical areas where the Tarentaise is used includes Vietnam, Mexico, Brazil, India, Guyana, Burkina Faso, Ivory Coast and the southern United States. It has also been exported to the north African countries of Algeria, Morocco, Tunisia and Egypt. 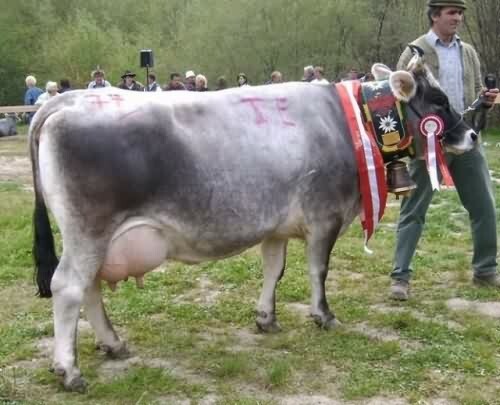 Based on the data of the International Committee for Animal Recording (ICAR), in France the Milk Production of 7,727 milk-recorded Cows in the Year 2004 was 4101 kgs. in 273 Days containing 3.56% Fat and 3.38% Protein. This is based on mostly forage in the mountains. 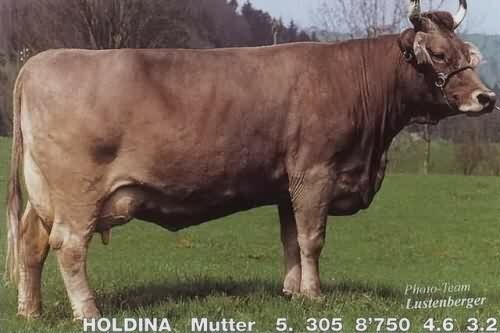 Planned breeding has been practised since 1830 and there was a central herdbook in Süderbrarup since 1879. Even in those days there was a central commission which are selected all the bulls out of these race. Since 1906 all the herdbook-cattles are connected to the milkrecording. 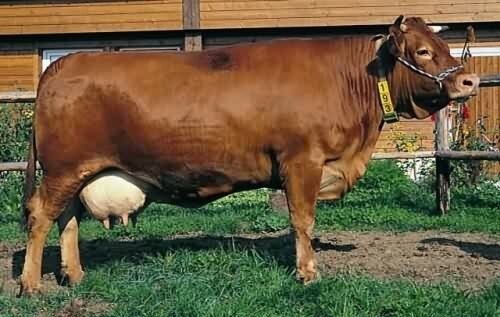 A breed that emphasizes milk with high protein percentage. 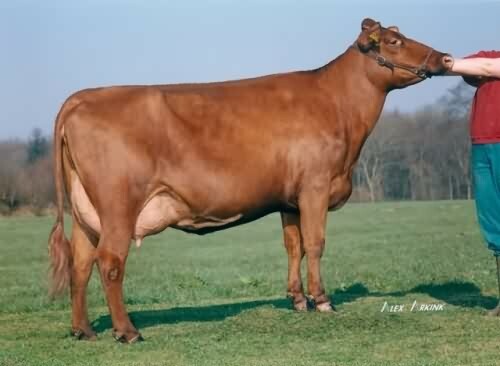 To be competitive, genes from the RDM (Denmark), SRB (Sweden) and Red Holstein breeds was introduced to the Red Angler. 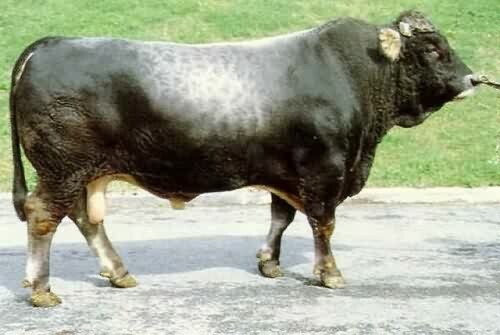 he current breeding aim is 9,500 kg-milk with 4.5 % fat and 3.8 % protein. Mature cows should reach about 145 cm height at the rump and a live weight of 650 kg. The Red Cattle distinguish itself: * by a very economic relationship between total feed input and milk yield * a high content of milk solids * excellent feet and legs and good claws * adaptability * easy calvings and low calf losses * good udder health with low somatic cell score The young cows grow fast and calve without problems at the age of 24 months. The young bulls have good daily weight gains and acquire a weight of 400 kg at the age of one year. The cattle are excellent suited for production of calfbeef (carcass body weight 145 kg). The production of Red Angler is influenced in all breeding areas by high protein content There is an increase in production in Red Angler in 1994-2005 because of the selection to +2,048 kg-milk, +68 kg-fat, +75 kg-protein. The Grauvieh (pronounced as 'Grow-fee', German word which means 'Grey Cattle'), is a solid colored breed.with various shades of grey from almost black, brownish, silvery to almost white, with darker areas. The lighter colored Grauvieh has a color like that of the Brahman and other white Indian zebus. The border of the muzzle and the poll is lighter. The Grauvieh is naturally horned and docile with strong legs, resulting from natural selection in the Austrian Tyrol. The weight of bulls averages 1000 kgs. with height average of 140 cm. The cows weight range from 550 to 630 kg with average height of 135 cm. The Grauvieh is originally from the Tyrol region of Austria and has expanded to Italy, Denmark, Norway, Germany, Bosnia-Herzegovina, and Croatia. It has also been exported to Oman. The Philippines may be the first humid tropical area where the Grauvieh will be used as a crossing breed. Based on the data of the International Committee for Animal Recording (ICAR), in Austria the Milk Production of 2,927 milk-recorded Cows in the Year 2007 was 4806 kgs. in 295 Days containing 3.97% Fat and 3.27% Protein. This is based on mostly forage in the mountains.